Fomo3D is the hottest blockchain game since Cryptokitties. Here, we will introduce you to the game and how to play it with from Cobo Wallet. Fomo3D is a Dapp game built on Ethereum blockchain. Simply put, it is a lottery game in which the last person to buy a key in each round wins a large pool of Ether. During a round, people can purchase 1 or more keys which resets the timer marking them as the current leader. With each key purchase during the round, the key price increases slightly. Players receive a stream of passive income from the game as keys are bought during the round. When the timer reaches zero, last person to buy a key wins and gets half of Ether in the pool. The other half will be shared among the round players, P3D holders, and others. The Long mode was launched on July 4th. The Quick mode will be launch on July 28th at 8.00 am (UTC+8) which is a few hours from now! Each round of the Long mode can last for weeks or months while each round of the Quick mode lasts only hours or days. The shorter the round, the sooner we found out who is the winner and the sooner the ETH in the pool is distributed. In the Fomo3D Quick mode, each round will start with a short ICO phase where all players can buy keys for the same average price.There is no ICO in the Long mode. The price scaling of keys in the Quick mode is gradual but increases at a much faster rate than in the Long mode which helps ensure that the games are shorter. How to play Fomo3D from Cobo Wallet? 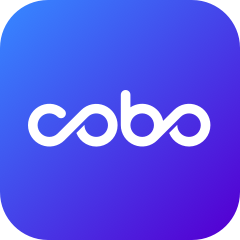 In the ‘Browse’ page, there are many DApps which can be easily accessed through Cobo Wallet. Click on the wallet button at the bottom of the screen to view or modify the associated ETH HD Wallet which you can use for Dapp payments. For example, when you purchase a key from Fomo3D, you can use ETH in this account to pay. P3D token holders can get a share of the 10% transaction fee from every buys and sells transactions on the P3D network which includes transactions in Fomo3D game, as dividends.